From the coming session June-July 2013, Punjab Technical University (PTU) is to launch MBA Business Laws with 9 other graduate & post graduate courses. Keeping the high demand of high qualified business laws professional in the market, academic council of PTU has taken this decision in the recent meeting. The MBA business laws will be a two year course, which will be highly focused to meet the current market demand. In first phase of the admission, The university will start with 30 seats from Punjab Institute of Technology (PIT), Kapurthala. PTU is expecting that this course will improve decision making skills in managers. A candidate must have a graduation degree in commerce, business administration or law with 50% marks to be eligible for this course. There will be an aptitude test followed by a personal interview for admission. The total fee for the entire course would be Rs.1,50,000, which can be paid in 4 installments i.e each semester. In first semester students has to pay Rs.39,000 and from 2nd semester onward he has to pay Rs.35,000 per semester. The course will help students to understand legal complications of business & help them make a strategy to meet the business demand. 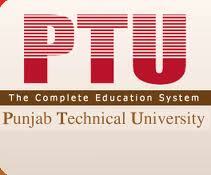 We hope students will love all of the newly launched course in PTU.